This item is currently sold out. More stock arriving at the end of April 2019. 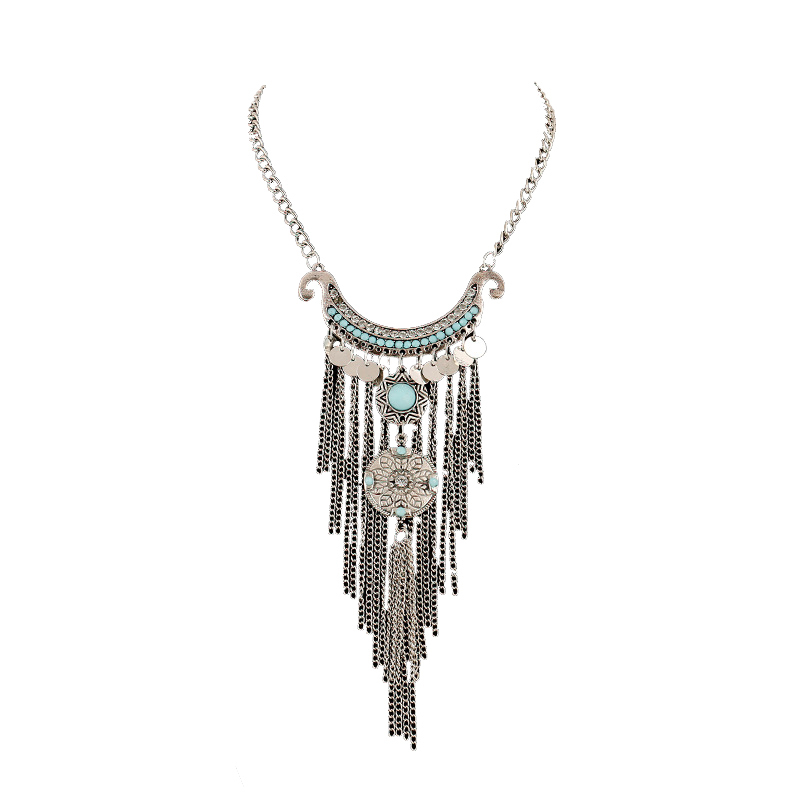 Reinvent ethnic fashion with Giselle Boho Necklace designed with turquoise blue stones, coins and tassels. Order now and take your collection of fashion accessories to new heights! Fun, formal, chic or unique...we have it all!